You are here: Home / Clock Funeral Home / Cremation – 7 Steps You Need to Know! Many of us have attended a funeral service for a family member, friend or co-worker, however, odds are most of us have not had to make funeral arrangements. Today with people living longer, the average age of a person making funeral arrangements is over fifty. One would think that the person making funeral decisions is the surviving spouse, but it’s becoming more the norm for the adult children to make the arrangements. Why? Because the widow or widower’s decision-making ability has become compromised due to their own declining health. The spouse may have full comprehension of their partner’s death and even be able to articulate the type of funeral service desired, however, the lack of clarity revolves around financial decisions. Understanding the financial obligations, along with any insurance claims is where the major confusion occurs, therefore it’s always best to have another family member or advocate present. In this conversation, you will learn what takes place at a cremation service arrangement conference. The next article will discuss the traditional burial conference; they are two very different discussions. 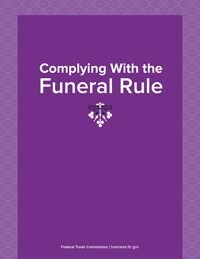 If you haven’t downloaded the e-book 5-legal-requirements-before-cremation, now is the time. All too often, people think that the cremation itself takes place once a body is brought into a funeral home’s care. 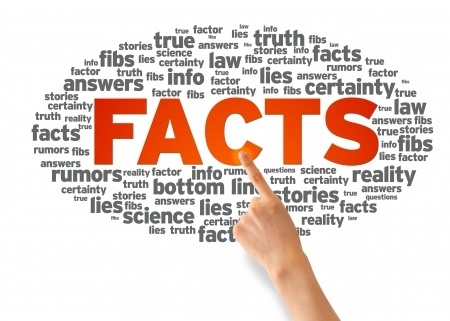 Let’s debunk this myth immediately! To be clear, a body can NOT be cremated until numerous checks and balances take place and it all begins at the arrangement consultation. Adhere to the Federal Trade Commission requirements. Gather the required information and signatures for permits and certificates. Set the expectation when the cremated remains will be returned. Shortly after death, your funeral home will contact you to schedule a time to meet. During this conversation, you may be asked to bring in insurance documents, possibly clothing or even photographs. This is the time for you to begin asking questions or start gathering a list of questions so you can have them answered when you meet. It should go without saying that there is no question that is out of bounds. While this may be a first for you, it’s not for your cremation provider. They will be able to answer most everything, if not, they will know what direction to point you in. There is no such thing as a “simple cremation”. The definition of a cremation service has a very broad range. Don’t be offended when you are asked, “and what does a cremation service mean to you?” or “what does that look like to you?”. Why? In the funeral service profession, a cremation service or simple cremation has many different meanings depending on you talk with. To give you an example, listed below are the many types of cremation service offerings that most places provide. Medcure – A no cost cremation option. Many cremation providers work with a company called “Medcure”. This is a third-party organ harvesting company who will pay the funeral home for their services and sell the harvested organs for profit. If a family agrees to this type of end disposition, the remains that are left after harvesting, are then cremated and returned to the family. The advantage to this type of option is that is no cost incurred to the family related to transportation, arrangements and the cremation itself. 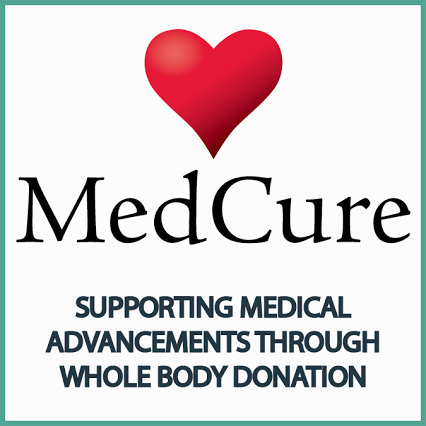 Medcure does have the right to reject an individual based on the cause of death or condition of the body. A body donation to a teaching university is often confused as a cremation option. When a body is donated to science, after a period of time, the unused body parts are cremated and returned to next of kin. It’s important to understand two things about this type of cremation option. There are costs involved – this typically is not a “free” service. A body can be rejected; therefore, the family must have a backup option. Many families who prefer the aspect of a “traditional service”, meaning viewing of the body, a visitation and a service often select this. The only thing that is different about this type of option is that instead of the deceased being buried in a casket at a cemetery, they are cremated after the service. The advantage to this is cost. It’s referred to as a “Rental Package” because the casket itself is can be reused multiple times. There is a container inside the casket, that contained the body. It’s removed and cremated with the deceased. When choosing this option, the next of kin must give permission to embalm. Why? When there is a public viewing can become a health and safety issue. Being buried in a casket at a cemetery, they are cremated after the service. The advantage to this is cost. It’s referred to as a “Rental Package” because the casket itself is can be reused multiple times. There is a container inside the casket, that contained the body. It’s removed and cremated with the deceased. When choosing this option, the next of kin must give permission to embalm. Why? When there is a public viewing it becomes a health and safety issue. This is when there is a service and or gathering for the deceased without the body present. This provides a time for sharing and celebrating a life lived. This is exactly what is say. There is no service provided and the body is cremated after meeting with the family. In the arrangement conference, before any discussion of price can be addressed by the funeral home, it is required by the FTC that the director/arranger present what is referred to as a general price list. This usually will come in two forms. A packaged price version that already is bundled. This is the most critical portion of the arrangement conference. All information is gathered now becomes a legal document. This information must be accurate the first time, to generate a death certificate and cremation permit in a timely fashion. These documents literally drive everything! Cremation doesn’t just happen. There are numerous checks and balances that must take place before the cremation can occur. If any of the processes are not completed, the cremation can be delayed. Know that you have the right to physically be present to witness the cremation process. If you aren’t offered this opportunity – just ask. Transparency is everything! At minimum ask the following question, “Who will be conducting the cremation?” Why? Many funeral homes outsource the cremation to a 3rd party provider. This is not a bad thing, but you should know who will be conducting the cremation and where they are located. If you want to be present or want to tour the crematory this should be arranged. If there is any hesitation, you have the right to select another cremation provider. Set the expectation when the cremated remains will be returned and to who. As discussed above, there are standards and protocols that must take place before a body can be cremated. Once the cremation is completed, not just anyone can stop in and pick up the cremated remains. In today’s world with blended families, it’s imperative that the funeral home know who they can release the cremated remains too. Just because you are a son, sister, mother or father does not give you the legal authority to have an individual released onto your care. If the remains are not to be returned to the immediate next of kin/informant – you will be asked who the funeral home can release the remains too. The same goes for the separation of ashes and distributing them to friends or family members. The funeral provider must have the names and the written consent to separate the cremated remains. Once all the above steps have completed, now is where you are asked how you intend to pay. Most places expect payment in full upfront unless the service was pre-paid, or the family produces an enforce life insurance contract and assigns it to the funeral home for them to receive payment first with the balance remaining sent to the policy beneficiary. If you are unable to handle this – now is the time to speak up! Do not leave without talking this through. A good funeral home will work with you, however, there are some fees that must be paid up front. Many times, the funeral home must pay out of their pocket and front costs for the permits and even the crematory. Please follow my blog “Ask Jodi” at www.jodiclock.com. Here you will find trusted answers that revolve around tough topics for end-of-life issues for people and pets. If you found this helpful, please download an expanded version of the “The 7 Step Cremation Process ” . I like that you recommend finding a cremation provider that is transparent. Deaths in the family are difficult and often people want to know many details on the process of cremation. Someone that is compliant and answers questions can be helpful. I didn’t know that cremation was such a good way to handle things. Maybe that’s what I should have done. That way I don’t have to worry about my family having to pay so much for things like a casket. Something I didn’t know is that there are checks and balances needed before cremation. Maybe I should look into getting cremation and having the stuff taken care of beforehand. That sounds like a great idea since I have always wanted to be cremated. I agree that you want to have all your questions and concerns about cremation answered shortly after death. You want to schedule time to talk to the funeral director. That will help you make sure you make the best decisions. I like your recommendation to have a list of questions ready for when you meet with your funeral provider is a good idea. You could start creating the list as you research the local funeral homes that offer cremation services. This could help you have questions specific to this method and to the provider you’re considering in order to make sure you’re choosing the right one.